[March 6-8, 2018] Overview of FAA Certifications: TCs, STCs, PMAs, TSOs | The Drake Group, Inc. 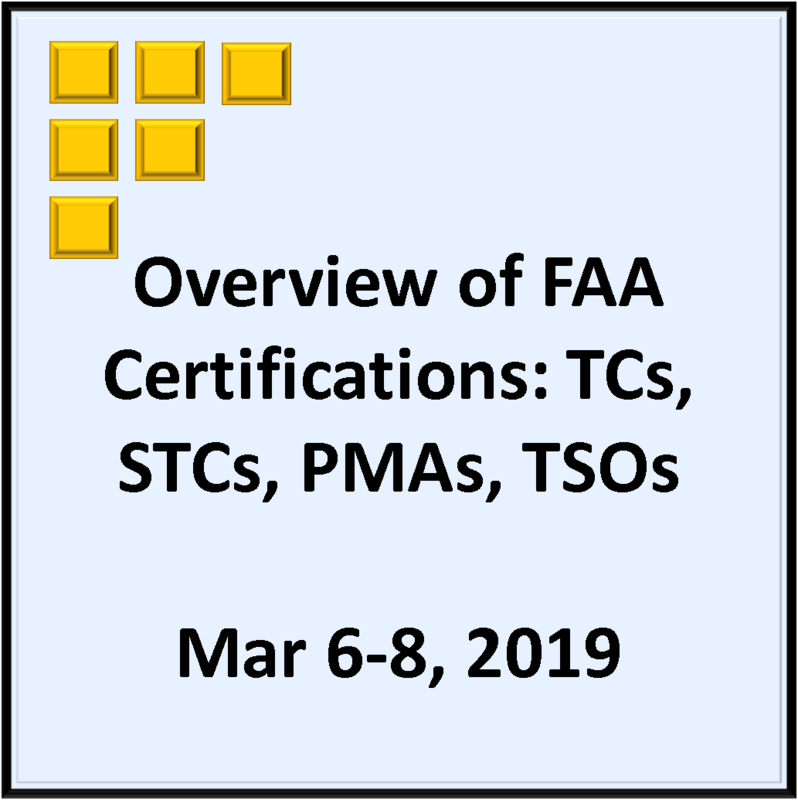 This is a three day seminar, regarding the process of how to obtain FAA certifications, commonly referred to as TCs, STCs, PMAs, and TSOs. The seminar material is presented from an industry perspective. Attendees vary from people who are very new to FAA certification to people who have experience but want to expand their knowledge and capabilities.